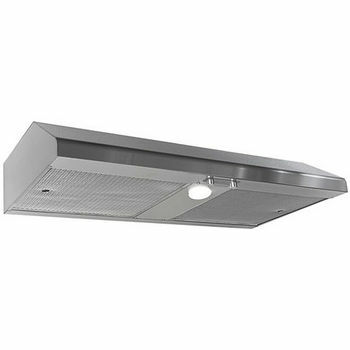 N1900PS-8 Dual Blowers 900 CFM 1.5 to 4.6 8" Rnd 30", 36", 42", 48"
Imperial range hoods used centrifugal blower for quiet operation, high power. 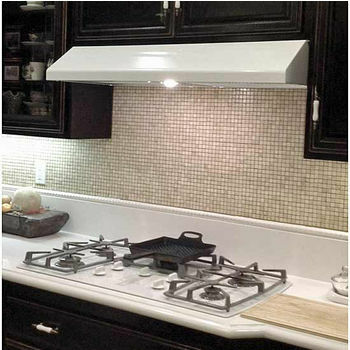 The Slim line range hoods are available in stainless steel or white, black or biscuit powder coat finish. 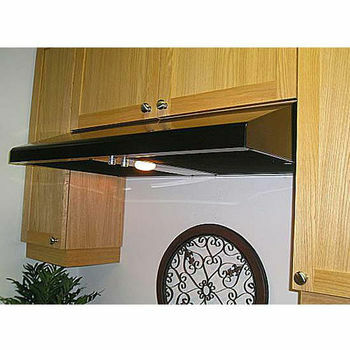 This ventilation hood includes a duct booster to boost the cfm of the fan for added venting. 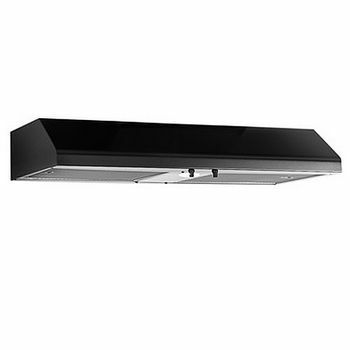 Unfortunately no, this unit does not have an option for ductless venting. That is correct. 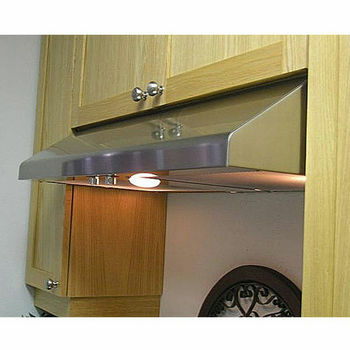 The duct hole is on the top of the hood, so you cannot duct it horizontally.